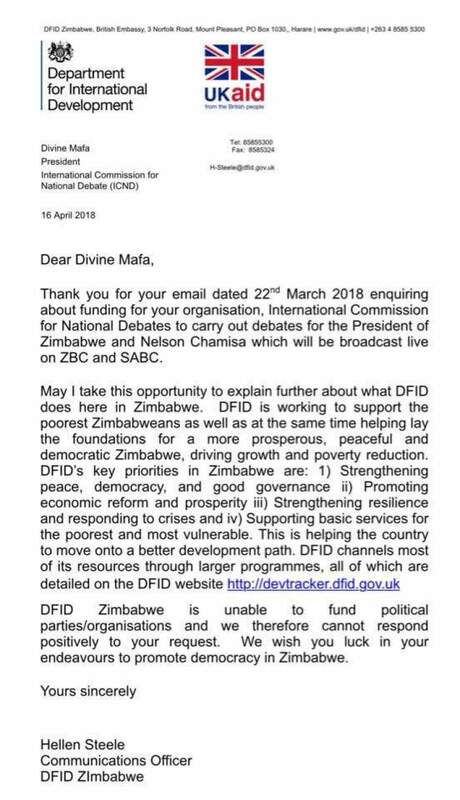 A group called 'International Commission for National Debates' tried and failed to get UK funding for a presidential TV debate. President Emmerson Mnangagwa declined to be drawn into a public presidential debate on national television with opposition MDC-T's presidential candidate Nelson Chamisa to thrash out their election manifestos ahead of this year's crucial polls. Presidential spokesperson, George Charamba said his boss was not keen to engage his political opponents in a public debate, arguing that the ruling Zanu PF party did not attach much value to such engagements. Televised presidential debates ahead of general elections have become the hallmark of democratic nations, with candidates given an equal platform to defend their manifestos. But Charamba said Mnangagwa would not be lulled into exposing his election strategy by the opposition. Charamba dismissed Chamisa as a “juvenile” who was excitable and renting roving crowds to create an image that he was a popular figure ahead of the polls. 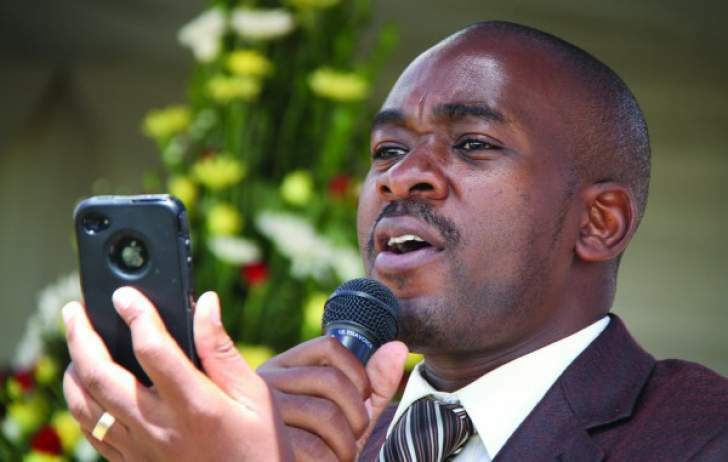 But through his spokesperson, Luke Tamborinyoka, Chamisa said Charamba's statements showed that Mnangagwa and his team remained in the 'analogue' era and had not embraced trends in the world of civilisation. Thank you for your email dated 22. March 2018 enquiring about funding for your organisation, International Commission for National Debates to carry out debates for the President of Zimbabwe and Nelson Chamisa which will be broadcast live on ZBC and SABC. May I take this opportunity to explain further about what DFID does here in Zimbabwe. DFID is working to support the poorest Zimbabweans as well as at the same time helping lay the foundations for a more prosperous, peaceful and democratic Zimbabwe, driving growth and poverty reduction. iv) Supporting basic services for the poorest and most vulnerable. This is helping the country to move onto a better development path. DFID channels most of its resources through larger programmes, all of which are detailed on the DFID website http://devtracker.dfid.gov.uk DFID Zimbabwe is unable to fund political parties/organisations and we therefore cannot respond positively to your request. We wish you luck in your endeavours to promote democracy in Zimbabwe.